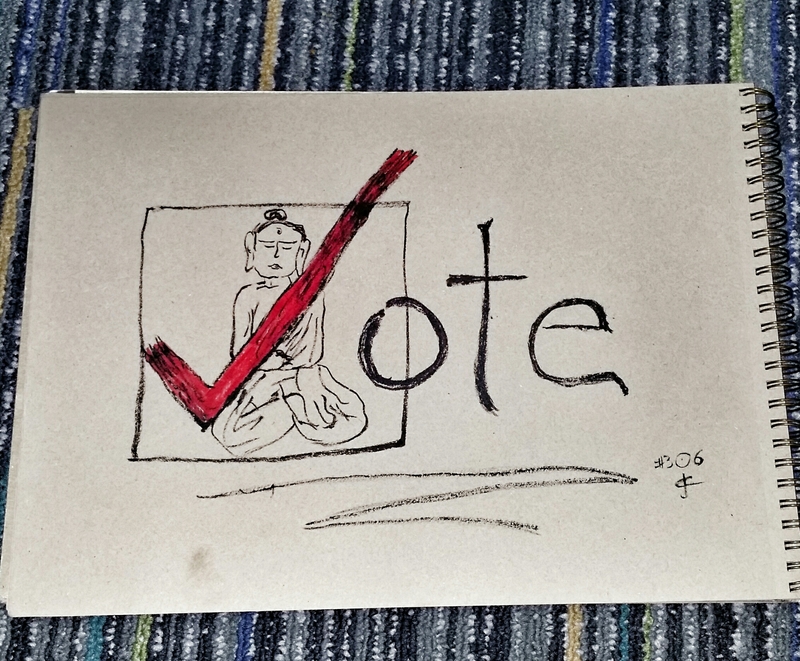 I wanted to do something for election day…our system is miles from perfect but voting is a voice. Use it. Pen and ink on recycled paper.